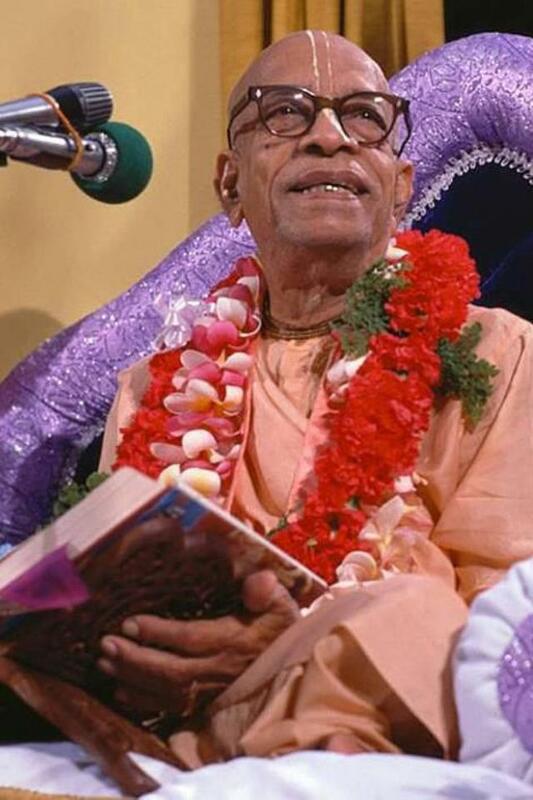 “Now, how do we know that… Srila Prabhupada went over things very thoroughly. He went over this drawing. He corrected me, he watched what I was doing, many things. Teachings of Lord Caitanya, we also worked on the drawings for that while we were in Los Angeles, and I’m bringing this up because there’s a similar change in this regard. Teachings of Lord Caitanya originally had five or six black-and-white drawings. In those days we couldn’t afford to print color. 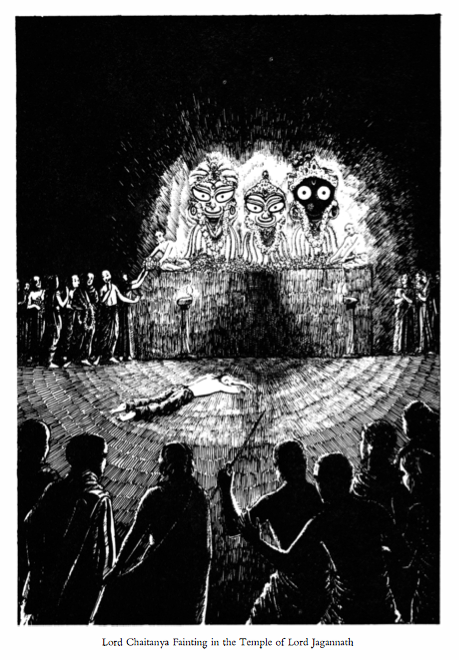 So, Gourasundar and I did five or six black-and-white drawings, and Srila Prabhupada very meticulously went over them. He told us exactly what to put. I had never been in the Jagannath temple, I had never even been to India, and I wasn’t allowed in anyway. And he told me everything that was inside, where the pujari sits, Jagannath was up on this thing, it was dark all around—he gave me specific instructions on how to do that drawing; that drawing and all the rest that are in there.